Enjoy pet friendly glamping – woofs welcome! When your dog is part of the family, it’s only right they come on holiday with you. Here at Hilltop Hideaways, we offer the very best in pet friendly glamping and dog friendly camping, so you can soak up all that country air together. We welcome well-behaved dogs to our pet friendly accommodation to ensure waggy tails all round. And with miles and miles of glorious Warwickshire countryside, dotted with no shortage of places to visit, eat and explore with your canine companion by your side, look no further than us for pawfect dog friendly breaks! Dogs can stay in our bell tents, where there’s plenty of space for the whole family to enjoy the great outdoors in luxury while pet friendly glamping with us. Our dog friendly accommodation also includes our bring your own tent pitches, where we look forward to welcoming you and your pooch (or pooches) to our spacious campsite, complete with luxury facilities close by. Dogs are welcome at Hilltop Farm too – where you can dine or drink with them inside the café/bar area, or outside on the large patio, the perfect spot for soaking up those stunning Hilltop views. And when you’re re-fuelled and ready to go, pull on your walking boots and head out into that view. We have walking routes available from the glampsite, café or farm shop to guide you – whether you’re after a short stroll through the meadows and down to the riverbank, or a more challenging walk to take in our wider surroundings right in the heart of the Warwickshire countryside. Dog friendly glamping here in Warwickshire offers no shortage of places to visit further afield than Hilltop Farm too, pets welcome in so many pubs (including our local – the Red Lion in Hunningham) and even some of Shakespeare Country’s most popular tourist destinations – like the beautiful grounds at Anne Hathaway’s Cottage in Stratford-upon-Avon, where a young Bard wooed his bride to be. 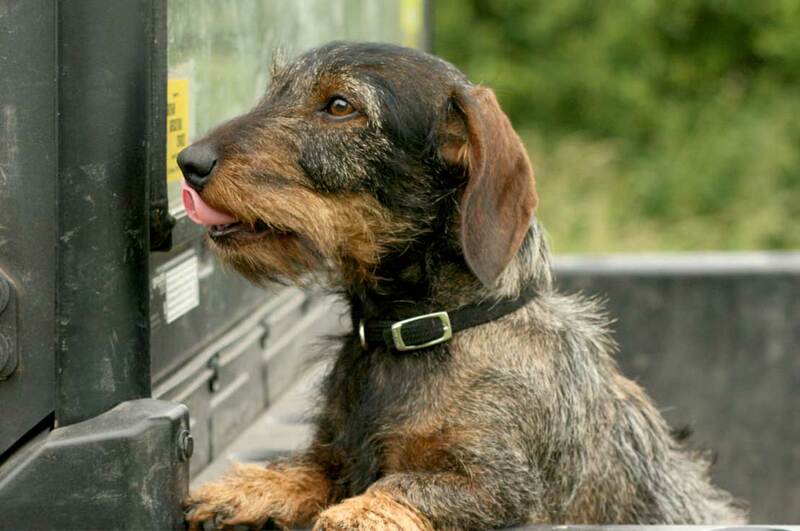 So, for pet friendly glamping in beautiful surrounds, whether you want to explore Warwickshire’s rich heritage or just escape to the country for a little down-time, we look forward to welcoming you and your four-legged friends to Hilltop Hideaways. No doubt you’ll meet some of our four-legged friends while you’re dog friendly glamping with us too! Please remember you will be staying on a working farm, so we do ask that dogs are kept on a lead at all times to protect our livestock and wildlife. Visit the Hilltop Hideaways glamping blog for walks and days out during your stay with us. Want to find out more about our dog friendly glamping in Warwickshire?